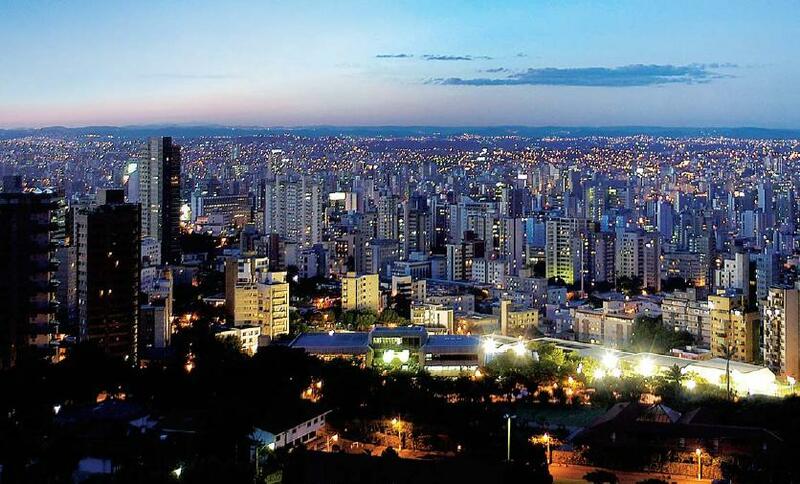 It was the first city designed in Brazil, a landmark that still attracts attention. 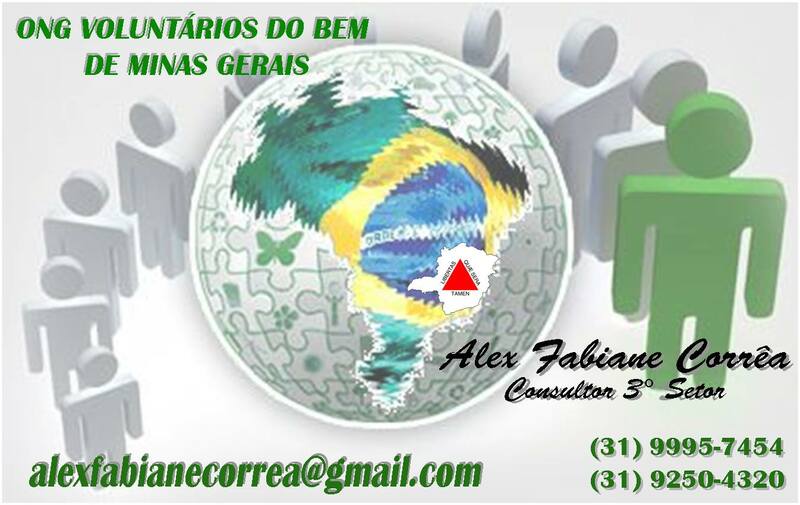 With the end of the gold cycle of decay and even a new capital needed to be raised, its geographical position should also be strategic, then other options between the lands of the former Corral Del Rey has been contemplated to become the capital of Minas Gerais. With total urban planning, its streets, houses, hospitals and all its infrastructure were located inside the Contour Avenue. Designed by Reis, was inaugurated in 1897. The city over time has grown and evolved and after the second world war already in the 50s was already an air of big capital, big buildings, cars, and urban sprawl. With the expansion of the territory of Belo Horizonte out of Boundary Avenue, new neighborhoods arise, and then called a rural town begins to urbanize. Belo Horizonte gain new traits, born Pampulha, the postcard city, designed by "Oscar Niemeyer" and all of its waterfront project, "legume, Adriano, House of Dance, Saint Francis of Assisi" and the old Casino today a museum "
"Today Pampulha is a total disregard with the sewage lagoon serving the city"
It also holds the title of Capital of the World pubs and bars, the large number of establishments in their territory. Who came to Belo Horizonte can not let go of the Serra do Curral, which surrounds the city and serves as a frame for all its grandeur. From the top of the Sierra tourists will understand why the city holds the name of BH. Pampulha, obligatory stop for beauty and history. 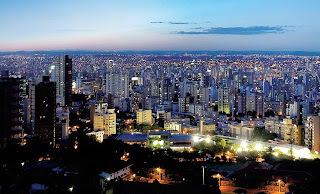 For those seeking a fun night in Belo Horizonte reserve surprises, the hint is for bars and nightclubs in the area of ​​Savassi. Belo Horizonte has three major soccer teams, athletic, and Cruise America, worth watching a classic among these teams. The Station Square is also part of a circuit attractive addition to house the Museum of Arts and Crafts, and be part owner of the city's history, is host to events like the New Year, Carnival, Arraial Belô and shows. Who said this was right, sustainability must occur in a clean and safe, out of what is exploited today is preserved for future generations. Tourism and other areas, sustainability is gaining strength and prominence, becoming a compulsory subject in classrooms, courses and lectures, showing the importance of the subject in order to educate people about the subject. Sustainability, taking advantages of natural today, but preserving the environment for future generations. 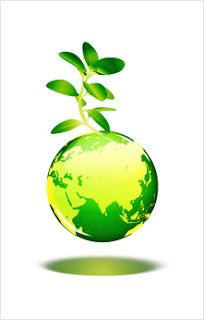 An important tool in the use of sustainable development, is the Kyoto Protocol, which comes in defense of the environment and aims to reduce significant emissions of gases in the atmosphere, reforming energy and transport sectors, protecting forests and other forests absorbing carbon, promoting the use of renewable energy, limiting methane emissions from waste management energy. Thus the polemic protocol aims to reduce pollution not only in the atmosphere, but in every environment with greenhouse gas reduction targets for industry in general. The Kyoto Protocol is actually a consequence of several events that sought to somehow contribute to the environment, such as the RIO ECO 1992. It is extremely important that children and adolescents are familiar with the term sustainability from the outset, so that when arriving at a university, are not caught by surprise with the subject, and approach the subject with knowledge, seeking solutions and seeking a better future. 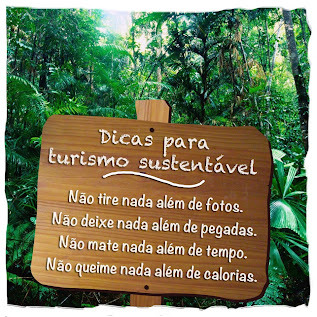 Tourism should seek sustainability in their footsteps, causing it to become self sustainable, especially in remote areas where the population is aggregated for little or no knowledge about it. Tourism must respect the environment then these people, as well as their culture and promote sustainability among these people, reducing the impact of the tourist action, and looking after the natural or cultural attractions, informing and educating tourists about the importance of place and of its people, showing the culture of these people and building a bridge between tourists and residents, where tourism has become a tool to be developed economically, socially and environmentally active.